With 1,056,247 inhabitants, Tunis is not only Tunisia’s capital, but also by far the largest city in the country. But that’s not all: In the ranking of the most liveable cities it occupies the 1st place in North Africa. 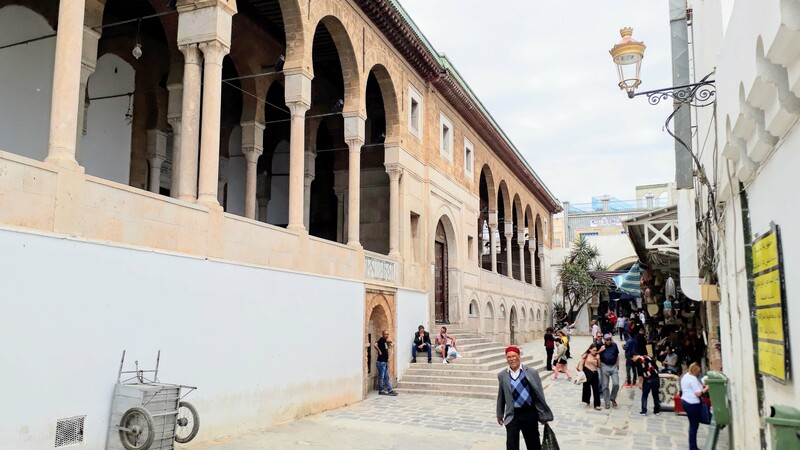 The Medina of Tunis from the 9th century has been a UNESCO World Heritage Site since 1979. 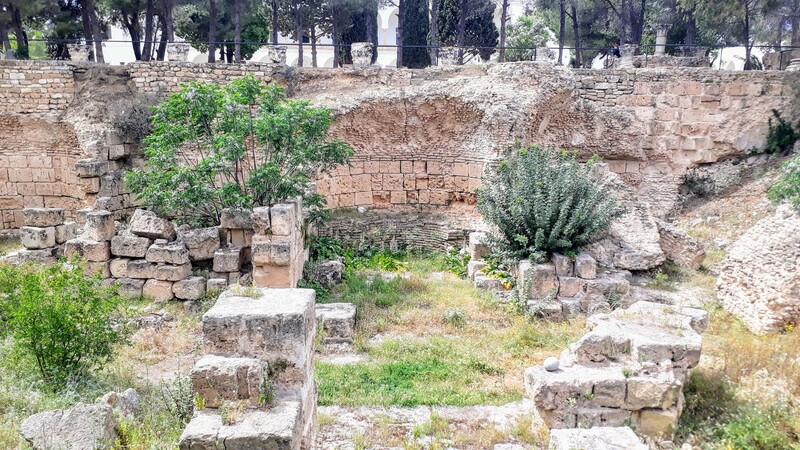 Just like Carthage: Today, the former city of antiquity is a suburb of Tunis and attracts numerous tourists every year to its archaeological excavations. 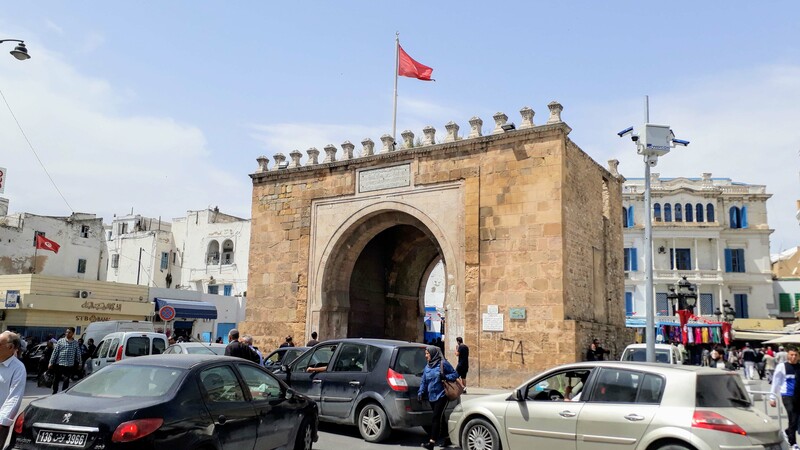 For a long time the village of Tunis stood in the shadow of Carthage, Kairouan and Mahdia until it became capital in 1159 under the Almohad government. Today it is not only the economic and commercial capital of Tunisia, but also the main traffic hub. 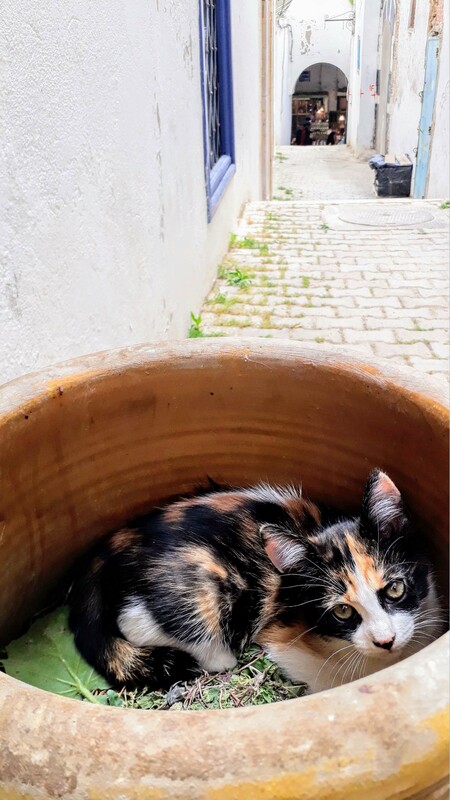 Due to the long centralist policy, all important institutions are situated in Tunis. 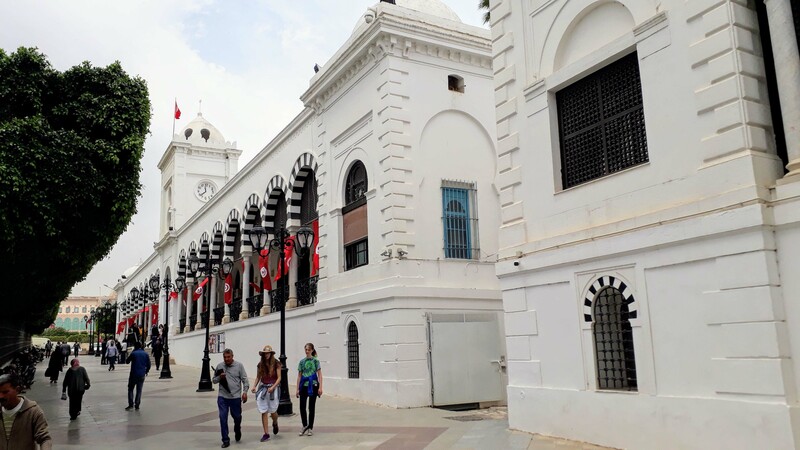 The historic old town (medina) of Tunis is part of the UNESCO World Heritage and can be reached on foot from Gare de Tunis Central Station. At its center is the 9th century Ez Zitouna Mosque, the most important mosque in Tunisia after the Great Mosque of Kairouan. However, the repeatedly renovated and enlarged place of worship is only accessible to Muslims. All around stretches the market district with many souks. 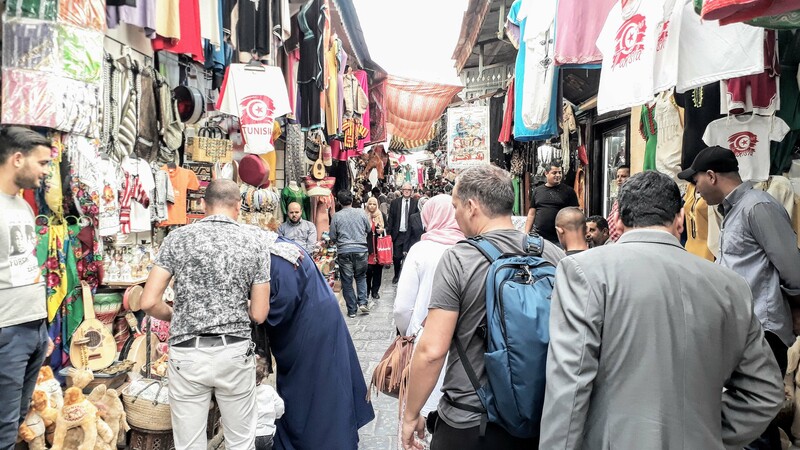 While the central area of the souks is heavily reliant on tourists, the market alleys in the peripheral areas of the medina are mainly frequented by local residents. The boundary between the Oriental Old Town and the European-influenced New Town forms the former city gate Porte de France or Bab el Bhar (Arabic “port gate”) and the adjacent Place de la Victoire. The streets of the new town built by the French in the 19th century between the Medina and the Lake of Tunis are built in a regular checkerboard pattern. 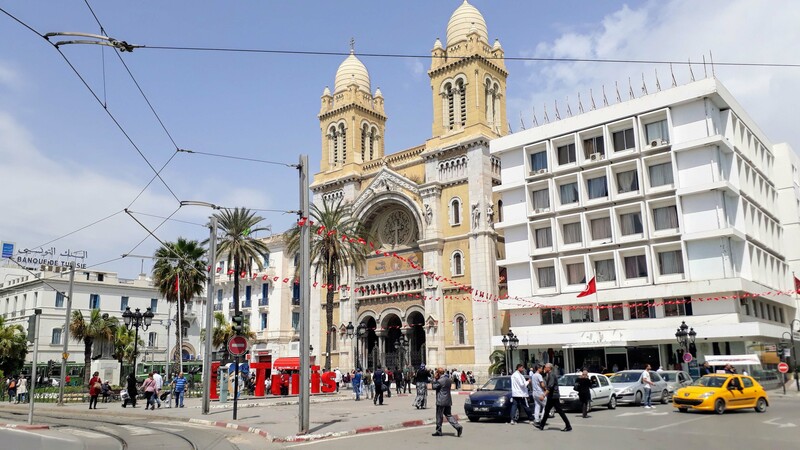 The main axis is the more than 1.5 kilometer long Avenue Habib Bourguiba, which is lined with shops, cafés and hotels. On the western edge of the medina are the sprawling squares Place du Gouvernement and Place de la Kasbah. Here used to be the Kasbah, the fortress of the city of Tunis. 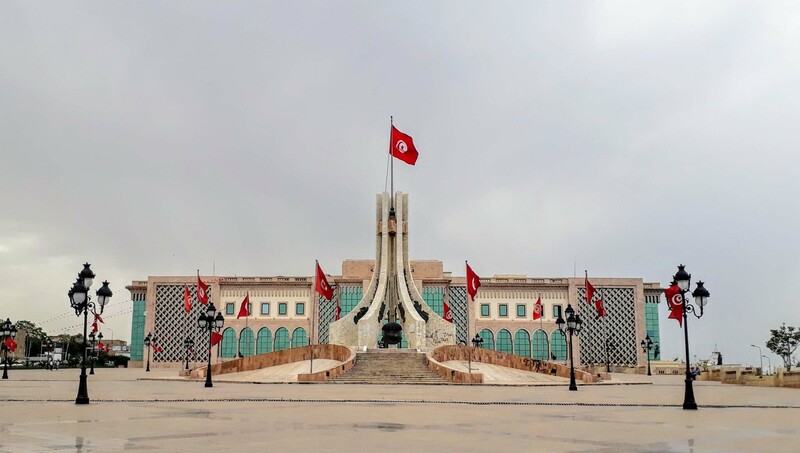 Today, the two well-guarded squares house important buildings such as the seat of government of the Republic of Tunisia in the former palace Dar El Bey (photo above), the National Monument, the Ministry of Culture, the Town Hall, the Farhat Hached Mausoleum as well as an elite school. The archaeological site of Carthage is just 15 kilometers (about 10 miles) or half an hour by suburban train from Tunis. In ancient times, Carthage was capital of the naval and commercial power of the same name. After the destruction of Carthage by the Romans, the Carthaginian Empire passed into the Roman Empire in the 2nd century BC. 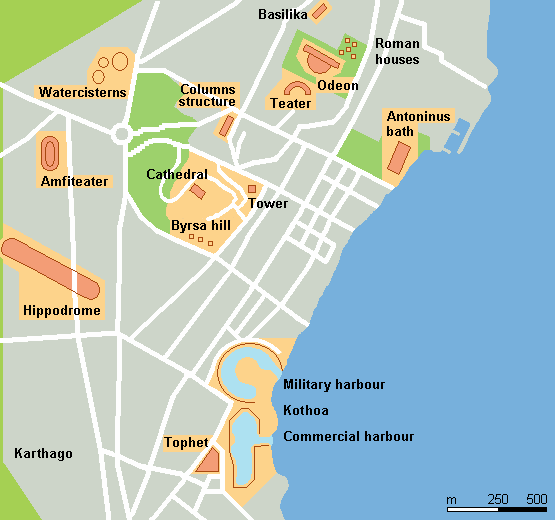 Carthage was re-established under Julius Caesar and soon rose again to a major city. It was not until the end of antiquity that the significance of the place came to an end. Today Carthage is a wealthy suburb of Tunis. The various excavations can be visited free of charge with the international student card ISIC. The capital Tunis can be reached by plane, ferry, train, bus or car. You can reach the UNESCO archaeological site of Carthage by taking the light rail line TGM. 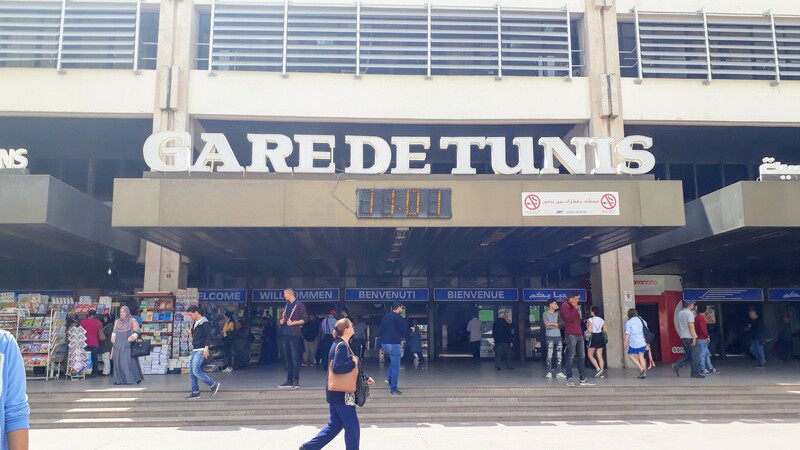 If you are coming from the center or central station of Tunis, you have to first take the metro line 4 to the terminus Tunis Marine and then change there to the TGM. The combined ticket for metro and TGM costs 1.9 dirhams. From Tunis to Carthage you need about half an hour. There are six stops in Carthage. Therefore, it is best to know in advance where you would like to get off or to use Google Maps on the way. To visit the excavations, we recommend the Carthage Byrsa station. The TGM runs in high frequency from 3:30 in the morning until 0:30 in the night.